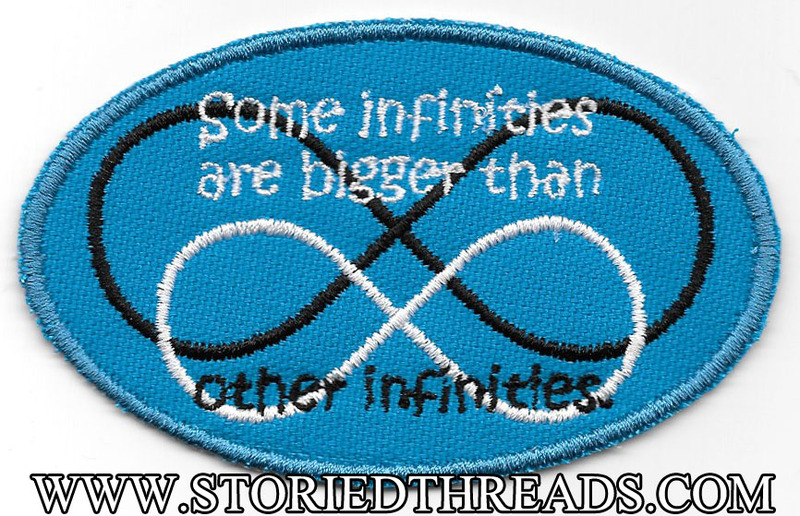 While not quite technically true, the notion of some infinities as larger than other infinities is a powerfully emotional one, okay? Okay. 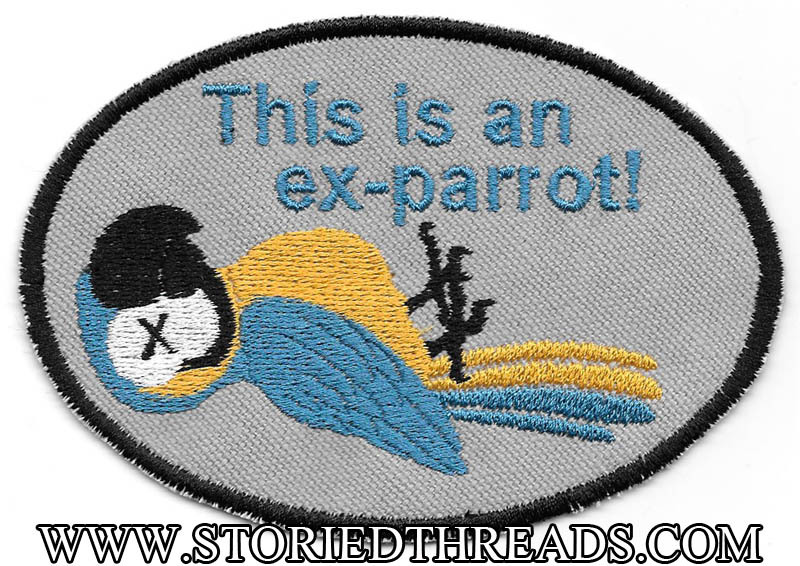 This sew-on patch is stitched in black and white on bright blue cotton canvas and measures approximately 4″ wide by 2.5″ tall. It sometimes takes us a while to get our bags prototyped in all three sizes — but eventually, it WILL happen! To that end, we are happy to announce that our 221B design is finally available on both Etsy and on our website as a laptop bag! Sherlock Holmes’s address — 221B Baker Street — is almost as famous as the man himself. 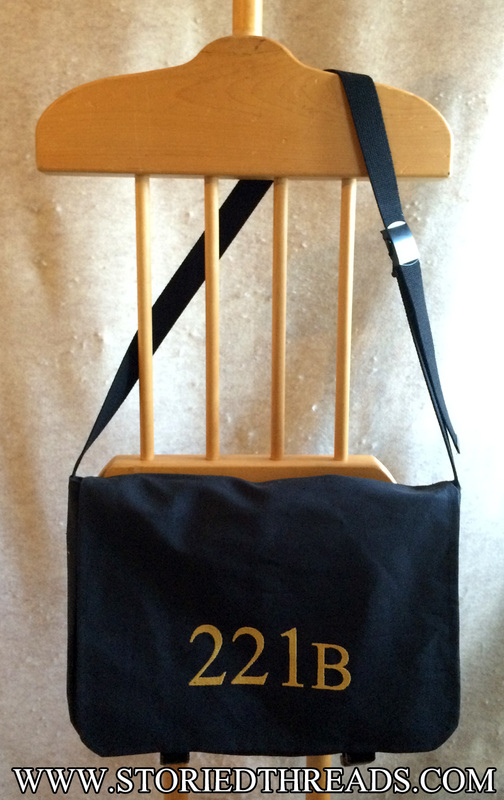 This bag is made of a sturdy black cotton canvas, embroidered with Holmes’s door numbers in a burnished gold thread. Our laptop bags have an interior measurement of 16.5″ wide by 11.5″ tall and 3.5″ deep. They feature a wide elastic band against the back wall, to hold your laptop or other electronics securely in place while leaving room for other items in front. Custom embroidered Doctor Who onesies. A while ago, I had a customer send me a message asking if I could do other kinds of custom items besides just patches. And it reminded me that some people might not know that we can embroider almost anything for you! This particular customer had a cousin who was a big Whovian, and who was about to have a baby. 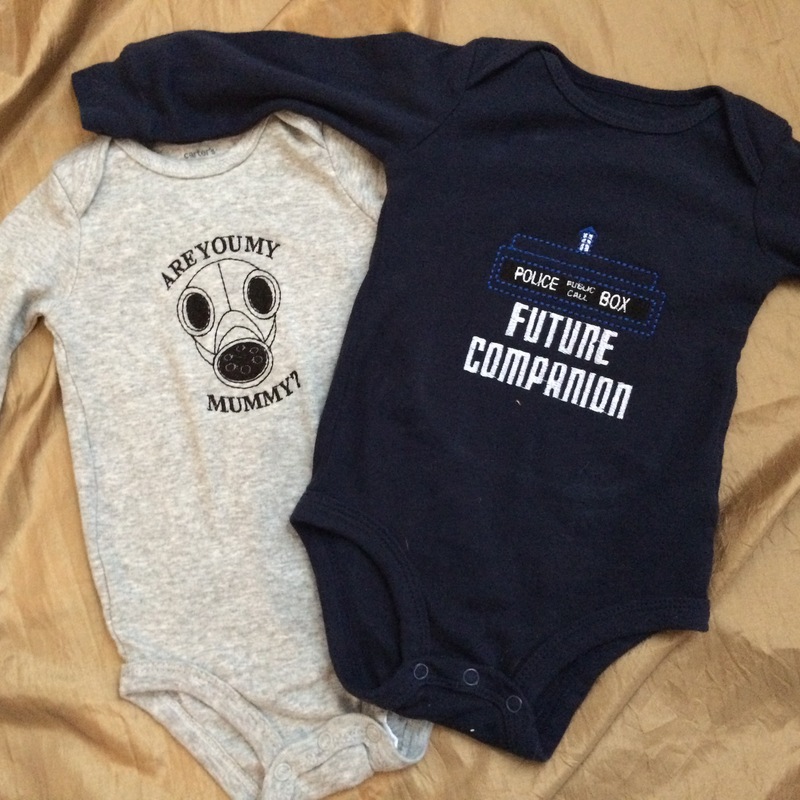 She wanted to know if we could do a couple of Doctor Who themed onesies for them? I had to do a little research, since I’d never embroidered a onesie before, but I think they came out really cute! Feel free to shoot me a message if there’s any custom geeky embroidery you want — I’m always up for a challenge! In 1485, Henry Tudor defeated King Richard III in battle, thus ending the War of the Roses. As King Henry VII, he married Elizabeth of York, and symbolically combined the red rose of Lancaster and the white rose of York into one sigil — the Tudor Rose. Our Tablet / Netbook bags have an interior measurement of 12″ wide by 9″ tall and 3.5″ deep. They feature a wide elastic band against the back wall, to hold your iPad, netbook, or other electronics securely in place while leaving room for other items in front. 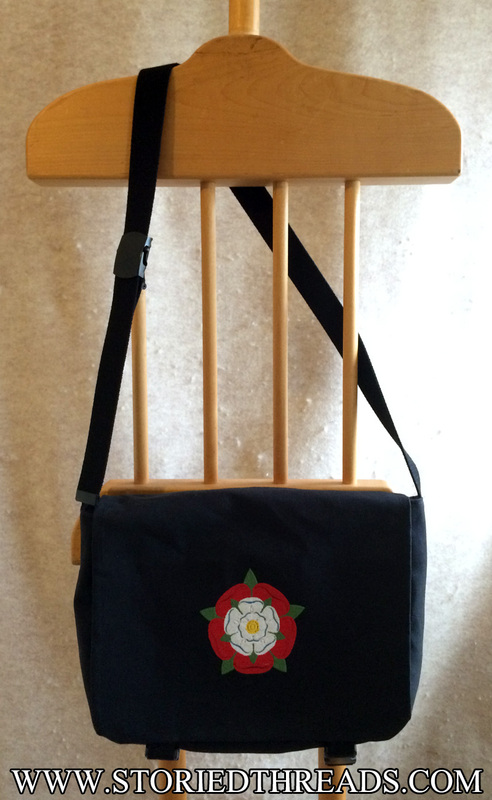 This new bag is available in our Etsy store, and on our website. 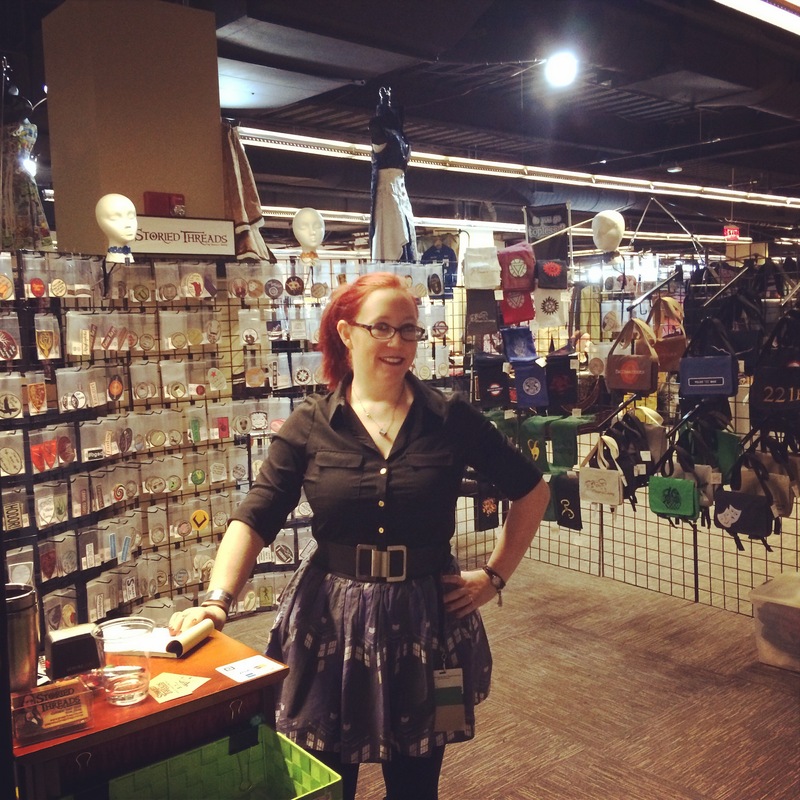 Sunday at Arisia, in my vendor space. Well, our first show of 2015 is now over, and it was amazing! We had a great spot this year — near the entrance to the dealer’s room, and the double-wide space I needed to properly display everything. And even with the larger space, we almost didn’t have enough room — extra bags were hung on the outside of the gridwall, and we ran out of pegs before we ran out of patches, necessitating we fill in holes with undisplayed patches as other designs sold out. That Muppet from “Sesame Street” who goes “yup yup yup yup yup”. You know the one I mean. And sell out they did! We sold nearly 250 patches over the course of 4 days, and at least 2/3 of the bags we arrived with. Not to mention all of the ties, scarves, bowties, and other assorted geekery. 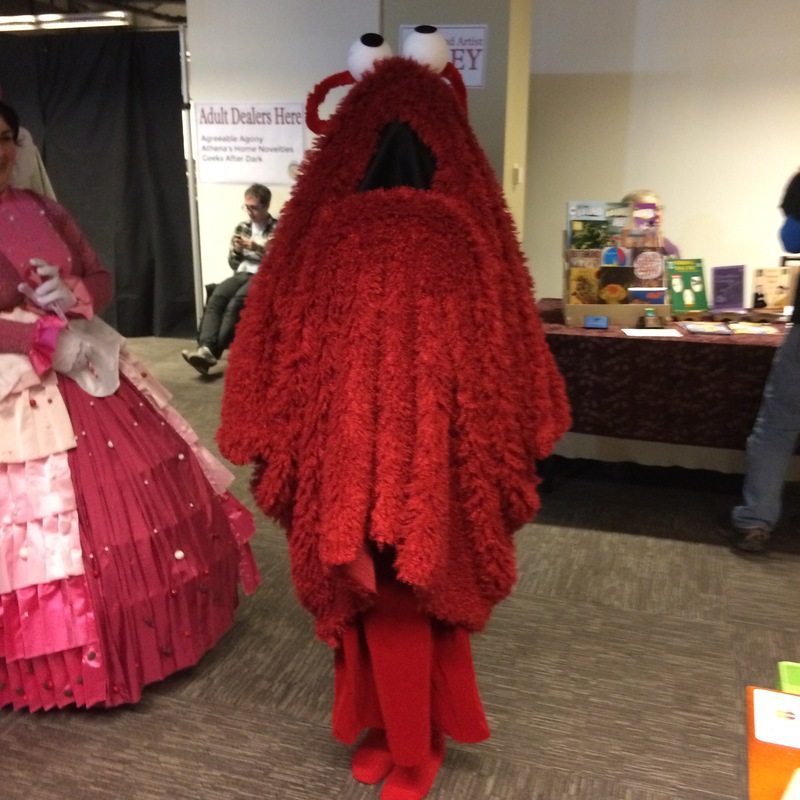 We also saw quite a lot of fun cosplay, and though we were too crushingly busy (hooray!) to take pictures of all of it, we were able to take pics of some of our favorites. And as always, it was a great time to catch up with friends and frequent customers, and to meet new people and geek out together over our favorite fandoms. Sadly, a bit blurry. 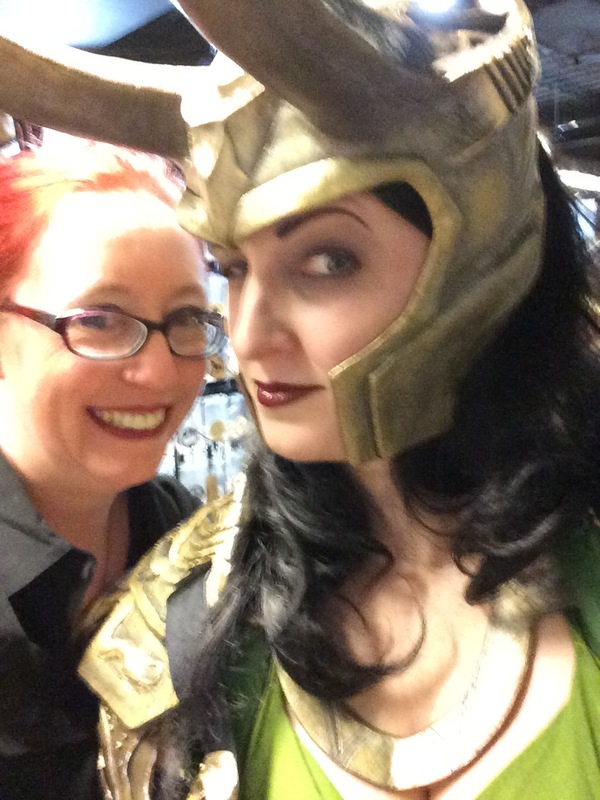 But I’m amused that I appear to be photobombing my own selfie with Eliza of Eldritch Arts. I have a lot of work ahead of me to be ready for TempleCon in a couple of weeks, but I’m glad to say that the new year is off to an amazing start! 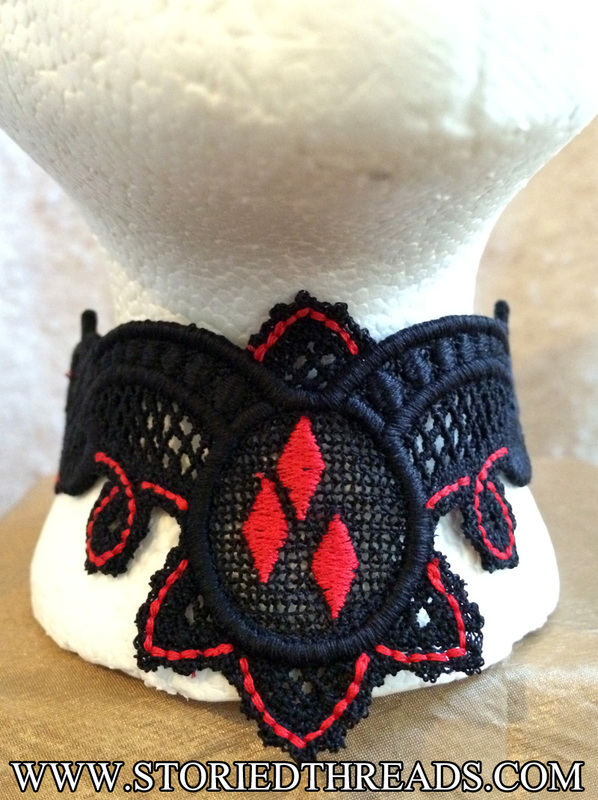 This intricate lace choker is made of swirling cotton thread in colors inspired by Harley Quinn. It is made of black lace with three red diamonds centered at the front. Lines of red define the edges with a little pop of brightness. It ties at the back with black and red velvet ribbons. This new choker is available on our website. I don’t know about any of you, but the dead parrot sketch was the first bit of Monty Python I ever saw, and it was absolutely a gateway piece. Once I’d seen that, I knew I had to have more! The sew-on patch measures approximately 4.7″ wide by 3.2″ tall, and is available on our website.